‘Our Children. Our Future’ – with this motto, EarlyEd Asia 2019 seeks to provide a platform for learning, networking and sharing the best practices of Early Childhood Education in Asia. Held at the City Palace Jaipur over February 12 and 13, 2019, it will focus on relevant research and developmentally appropriate practices in care, neurosciences, education and policies for the betterment of Early Childhood Education. Hosted by Princess Diya Kumari, The Royal Family of Jaipur, and organised by ScooNews and Early Childhood Association, India, EarlyEd Asia 2019 is the largest Early Childhood Conference of Asia. The conference will be an effort to bring in more hands to join in and support the reform of Early Childhood Development (ECD). Collaborations will be established with local and international organisations, and professionals in the ECD space. It will be one of the largest international conferences devoted to modern childhood issues, attended by academicians, practitioners, and policy-makers from across Asia. The two-day Conference & Expo at The City Palace, the heart of the Pink City, is a once in a lifetime experience, offering a wealth of precious content. Experts in the field will share the table to discuss the latest research and exemplary practice in care, neurosciences, education and policies. With workshops, presentations and sessions delivering unparalleled insights on the latest in Early Childhood Education, it is the perfect amalgamation of professionals who recognise the impact of quality Early Childhood practices on the lives of children and their families. From curriculum development and leadership enhancement to enriching and re-imaging the classroom experience and STEAM, teachers learn from renowned local and international experts and take away practical tips they can immediately implement in their classes to make learning more engaging for their students. 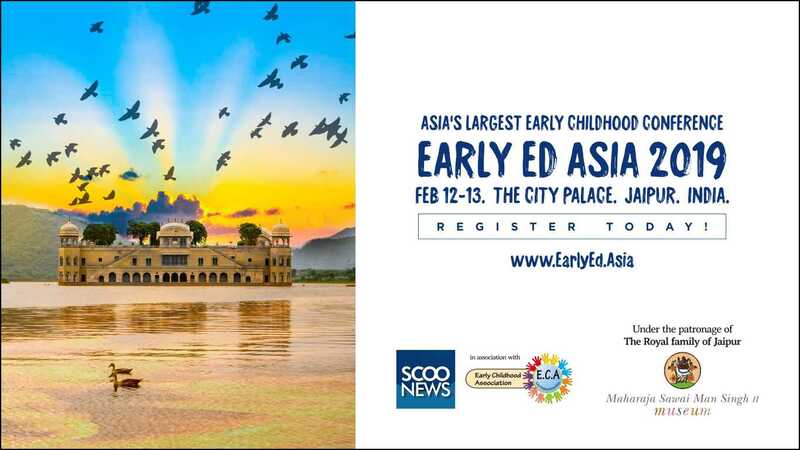 EarlyEd Asia 2019 is organised by ScooNews and Early Childhood Association, India, and hosted by Princess Diya Kumari, the royal family of Jaipur. Known as a princess with the strength of a warrior, Princess Diya Kumari is one of the most proficient women of modern India. With marvellous adroitness she manages her copious business ventures, school, museums and NGOs, while devoting a large part of her time to developing her constituency of Sawai Madhopur (a large area including Sawai Madhopur City and vast stretches of backward rural areas, along with the Ranthambore National Forest and Tiger Reserve) as an elected Member of the Legislative Assembly of Rajasthan. In 2014 she was appointed Rajasthan State Government’s Ambassador for the Save the Girl Child campaign and was awarded the YFLO Women Achievers Award in Politics. In January 2017, Princess Diya Kumari was conferred with an Honorary Doctorate Award in acknowledgment of her mammoth contribution and impact in the field of benevolence and playing a lead role in family heritage. 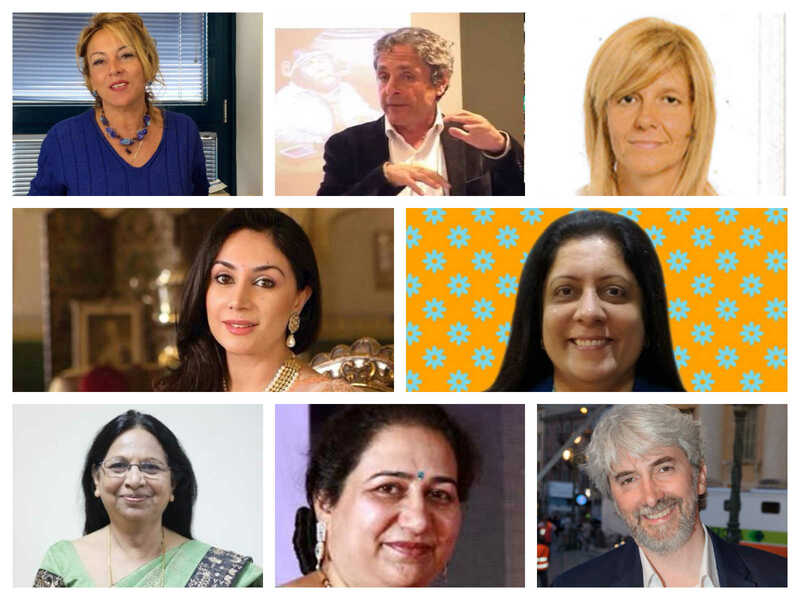 From Princess Diya Kumari Jaipur, Dr Swati Popat Vats (President Early Childhood Association India) and Dr Daniela Lucangeli (Professor University of Padua Italy) to Dr Kamini Rege (Treasurer ECA-India) and Stefano Cobello (Coordinator Polo Europeo Della Conoscenza Italy), the speaker list at EEA Jaipur is a treasure trove of inspiration. EEA is known for the relevant and insightful topics delivered by speakers who will inspire, energise and boost the morale of educators keen to enhance their craft. It offers a plethora of professional growth opportunities exposing participants to new trends and ideas that will impact the future of institutions and help discover ways of increasing quality and productivity. Listening to experts sharing their expertise can be a huge inspiration to take action! The ideas, research and best practices shared will help motivate you to think of what more is achievable. Many ‘Aha’ and ‘Eureka’ moments assured! Teachers attending EEA Jaipur are bound to reap multiple benefits. For starters, this is an opportunity to mingle with their peers from other schools, absorb ideas from the experts on various topics and themes, discuss their doubts and broaden their perspectives. In addition, they will also get the chance to acquire certifications which enhance their professional careers. The experience is thus not only enriching, but also rewarding in the long run, as teachers learn from renowned local and international experts and take away practical tips they can immediately implement in their classes to make learning more engaging for their students. The deliberations and discussions will provide educators and organisations with the latest ideas and best practices and research in Early Childhood Education. EarlyEd Asia will throw up inspiration galore as the focus is turned on remarkable efforts of those in the education firmament, including teachers, schools, ed professionals, ed tech companies, and brands who offer a range of products and solutions for the education market. It is the ideal platform to keep abreast of the latest programmes and innovations as well as identify and emulate those who have achieved landmarks in education in Asia. Participants will learn what is new and move with the rapidly changing times. Success in ECE after all is all about innovative practice which is strongly based on research. Ideas are available on Google too, but EarlyEd Asia is the ideal ground to gain insights on why the ideas are important and how you can eliminate the pain-points of implementing ideas. A range of up-to-the-minute educational tools will be showcased at the event, displayed by several local and international companies. These educational products and solutions offer educators the chance to help deliver education most effectively, leading to improved results in students. School owners and decision makers would have the chance to choose the optimum tools to improve learning outcomes and upgrades. It is the perfect place to mingle, meet, try out products, choose and improve school resources. With delegates from across Asia in attendance, EarlyEd Asia offers a wonderful chance for educators and ed professionals to connect with contemporaries from a range of countries. It makes for an ideal platform for professional, personal and business growth. EEA is the perfect education conference to meet and connect with this invaluable grid. The gorgeous environs of Jaipur’s famed City Palace will play its own part in the proceedings, lending its regal grace and aura of inspiration to the conference. It is also the perfect getaway to add in a dose of fun, as educators reconnect with old friends, make new ones from across Asia and let their hair down. Don’t forget those dancing shoes or, on second thoughts, just dispense with footwear completely like they would in the beautiful sands of Rajasthan!